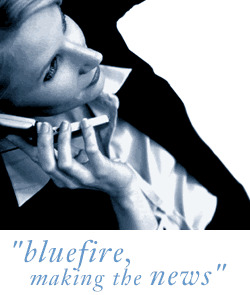 Bluefire Consulting | Service Desk Analyst : "support" "server" "network" "MCP"
* To provide technical support; answering support queries via phone, email and web. * To maintain a high degree of customer service for all support queries and adhere to all service management principles - ITIL. * To log all calls on the internal logging system. * Respond to enquiries from clients and help them resolve any hardware or software problems. * Support users in the use of Computer equipment by providing advice and escalating necessary training to the training department. * Team player is essential. * Previous Service Desk (telephone support) experience. * Experience of using call logging software. * Strong knowledge of Microsoft based operating systems: XP, Vista and 7. * Experience with using and troubleshooting Microsoft Office with emphasis on MS Word, MS Excel, MS Outlook and MS PowerPoint. * Sound understanding of PC hardware set-up and configuration. * ITIL V3 Foundation Certification. * MCP certification or equivalent would be desirable. * The ability to learn bespoke software.